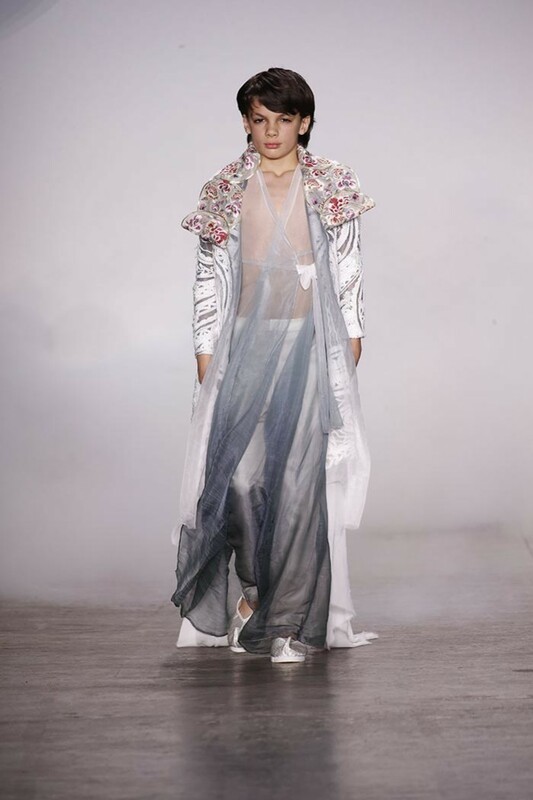 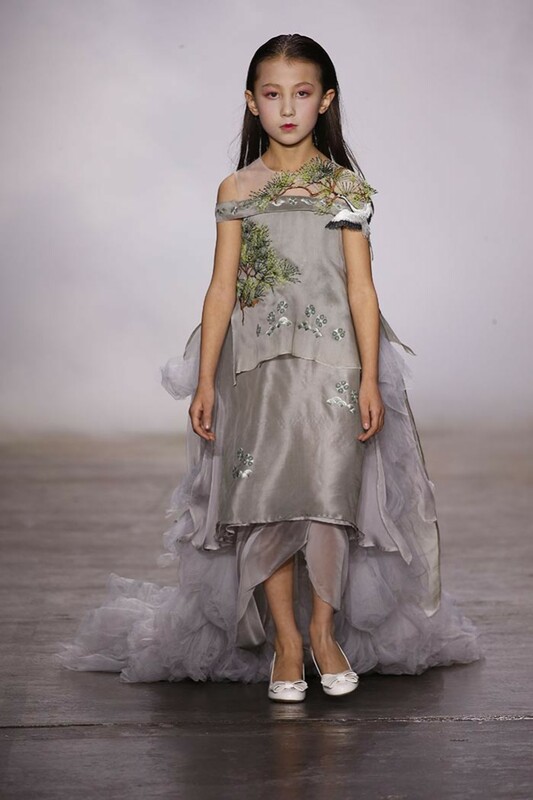 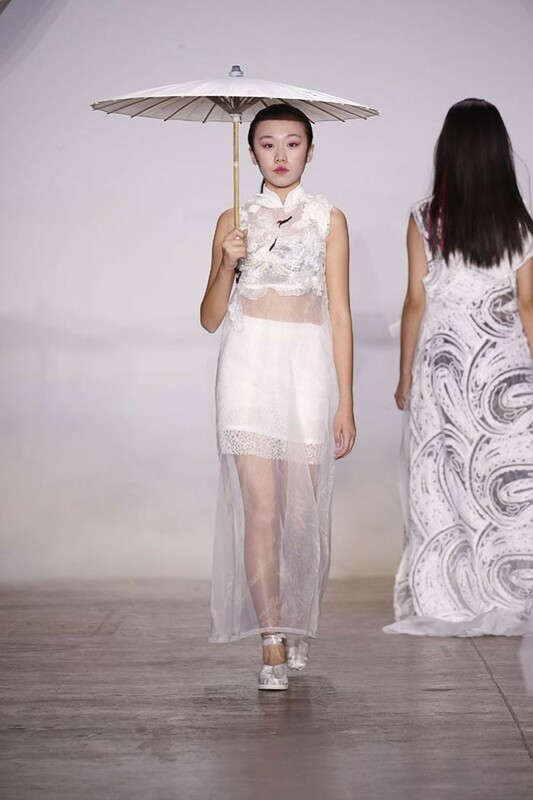 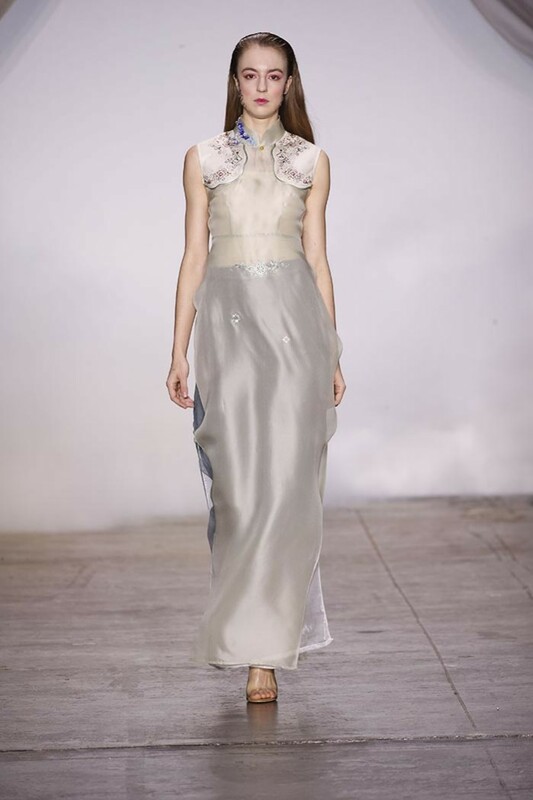 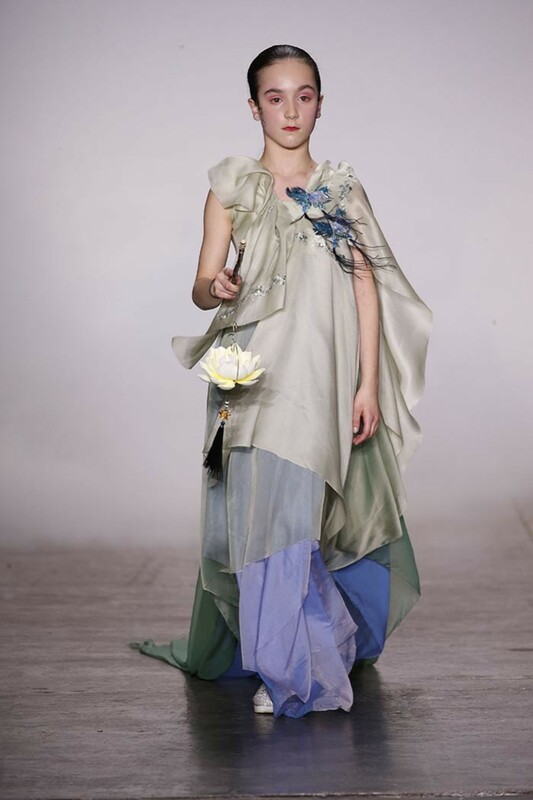 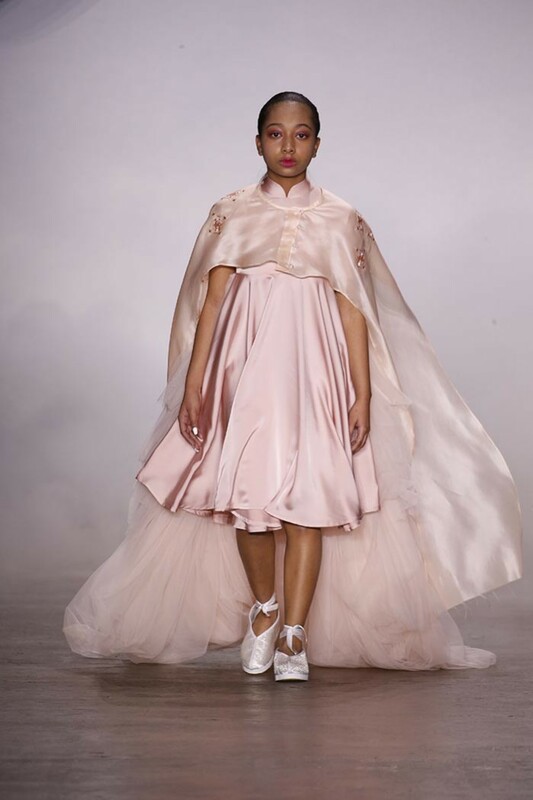 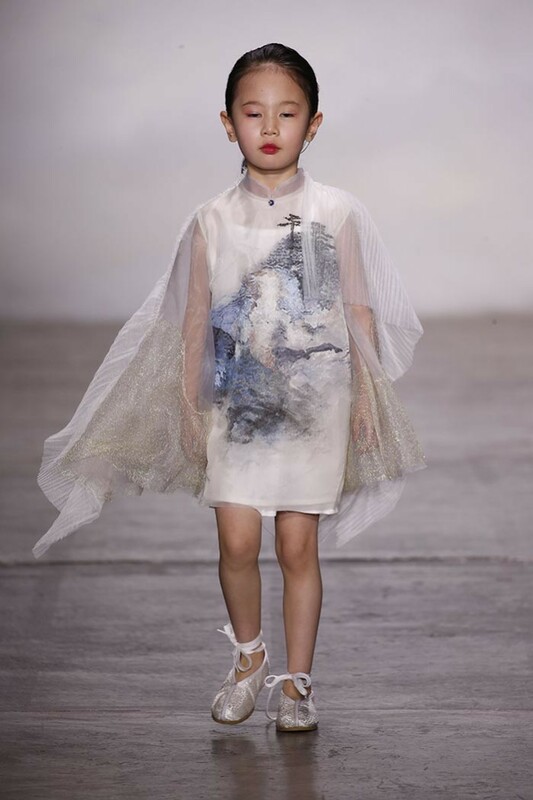 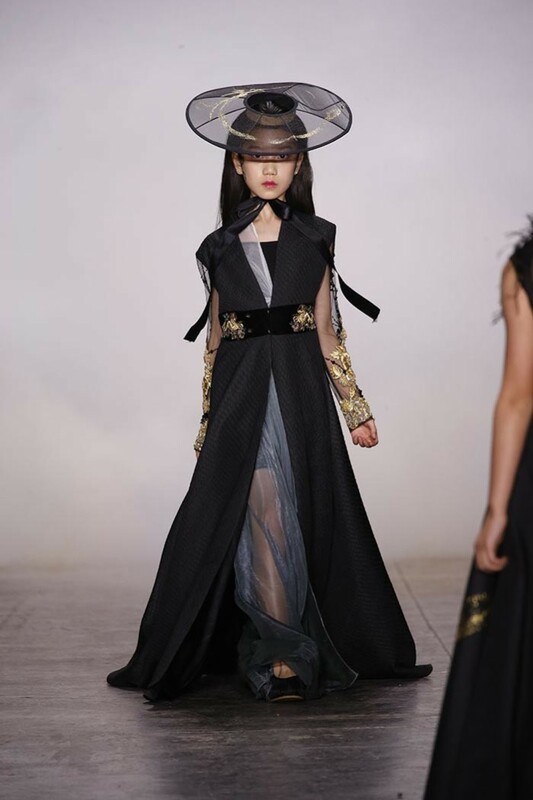 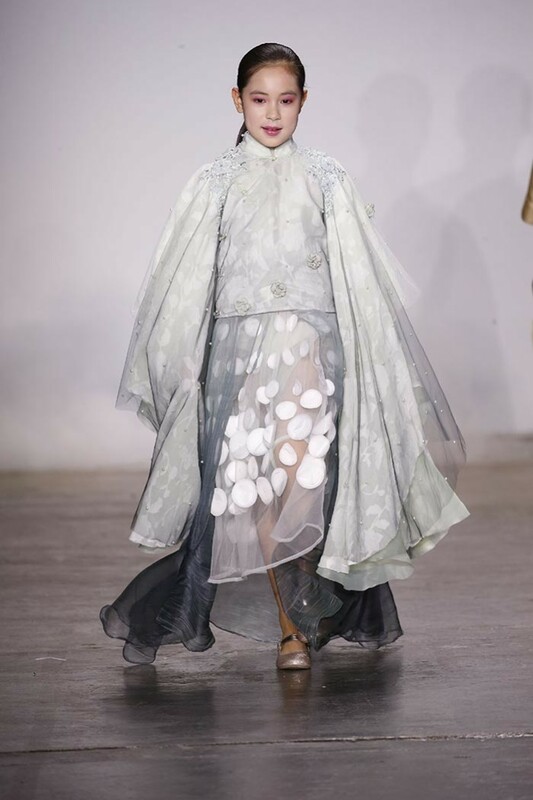 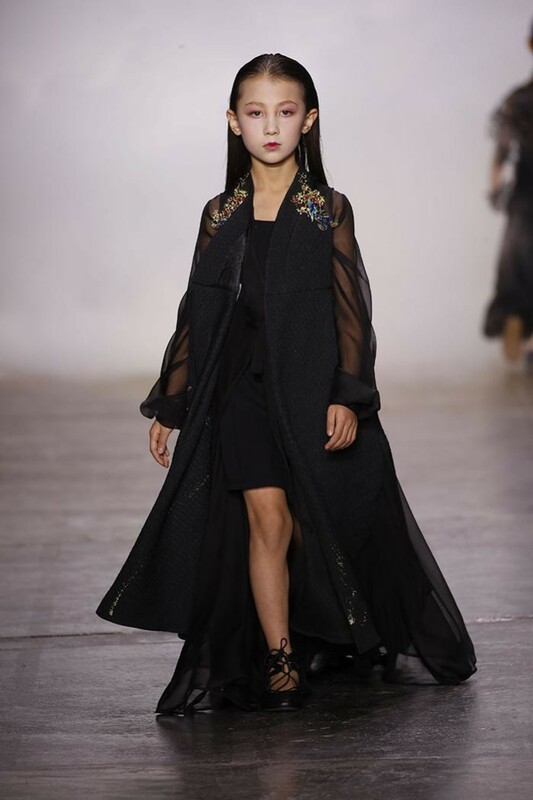 A smoky runway set the stage for Chinese brand SUNCUN, creating an ethereal, dreamlike atmosphere. 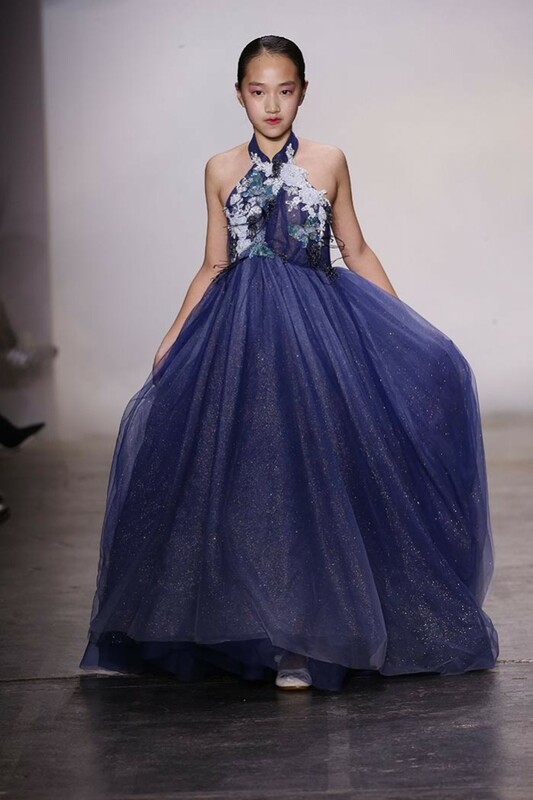 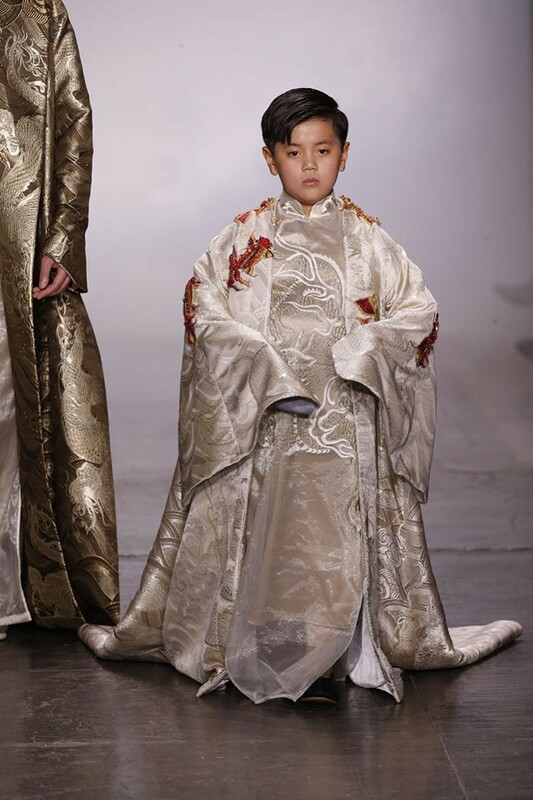 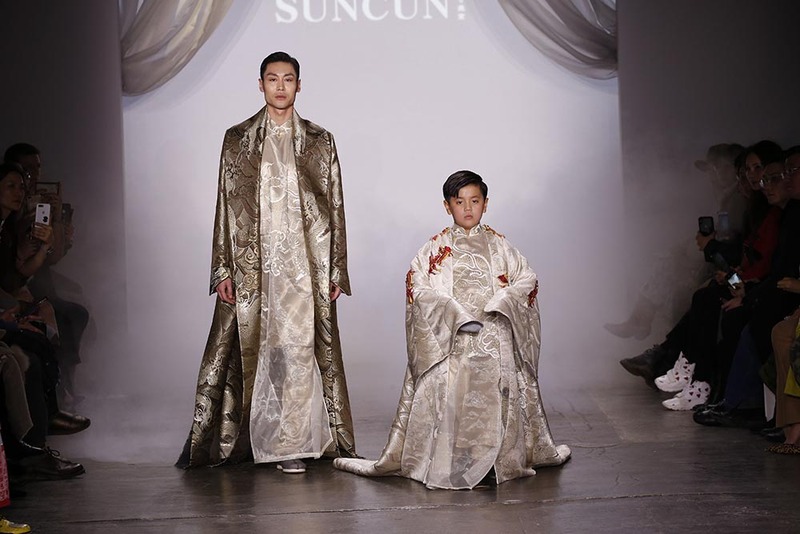 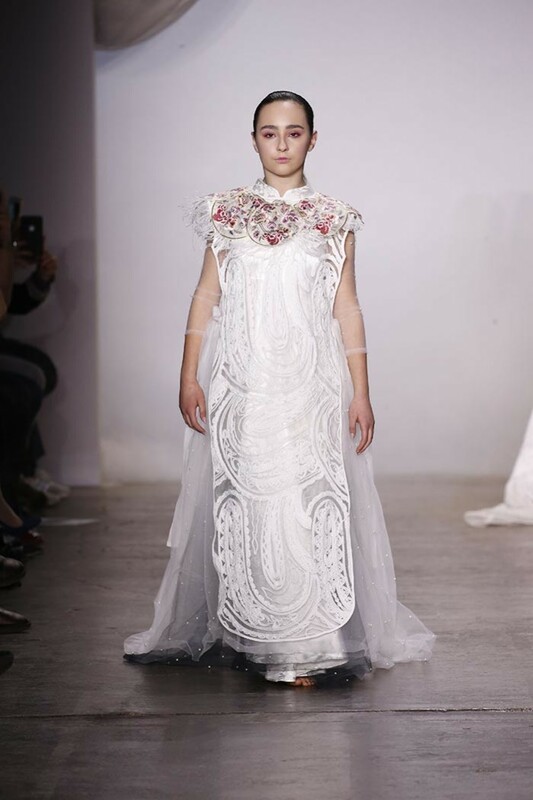 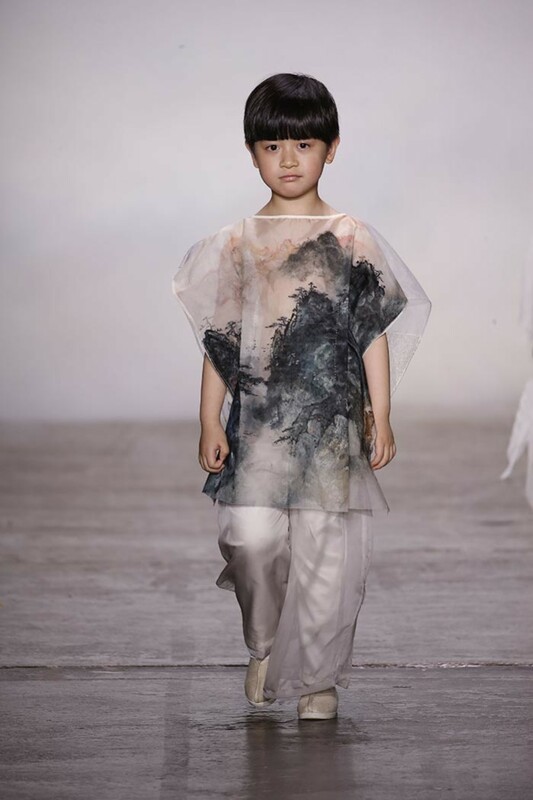 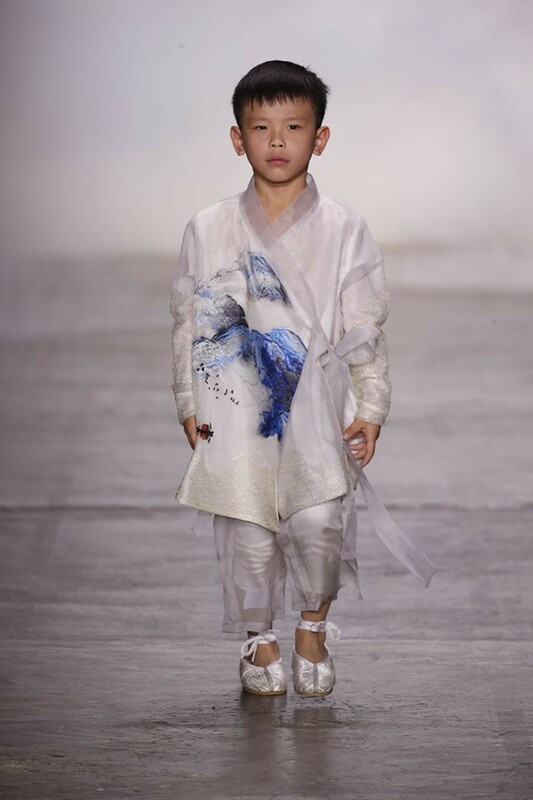 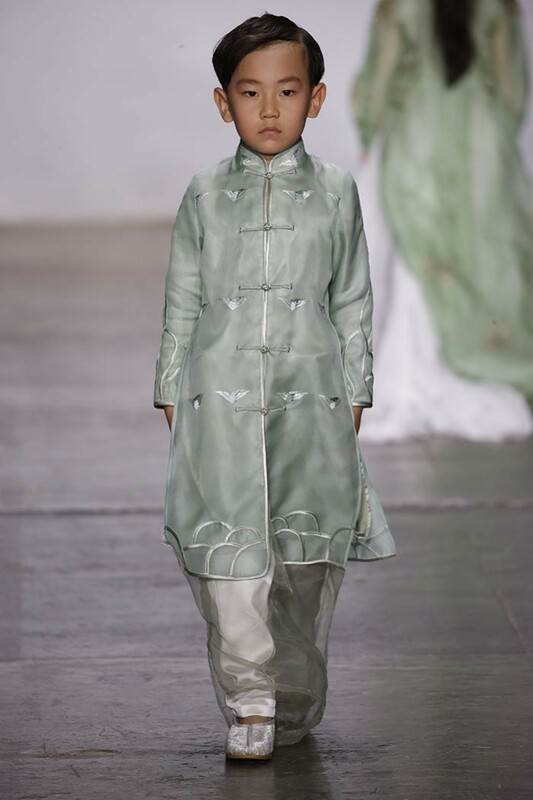 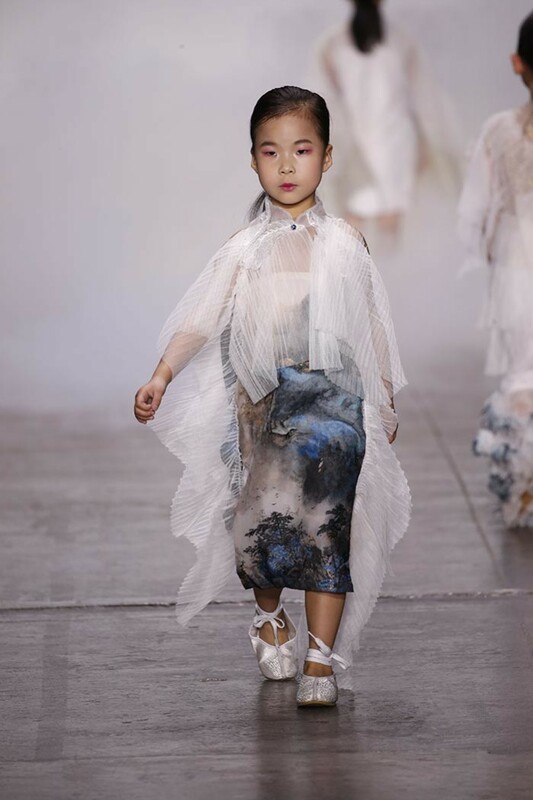 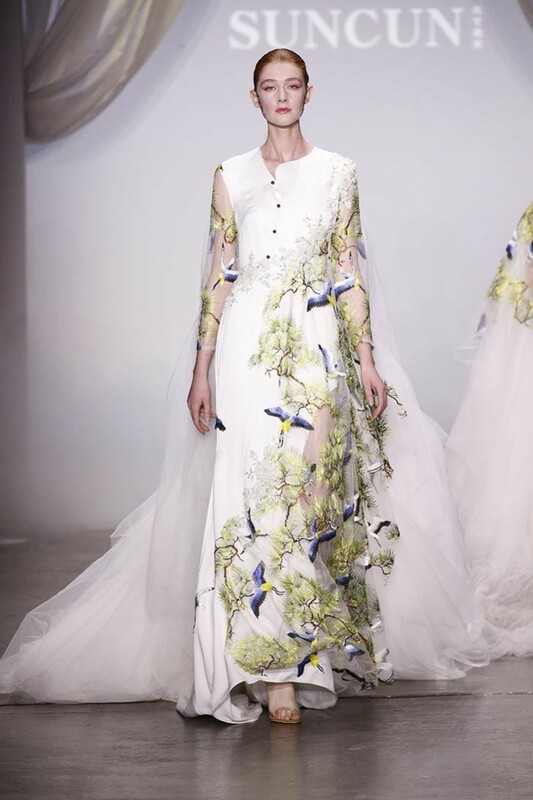 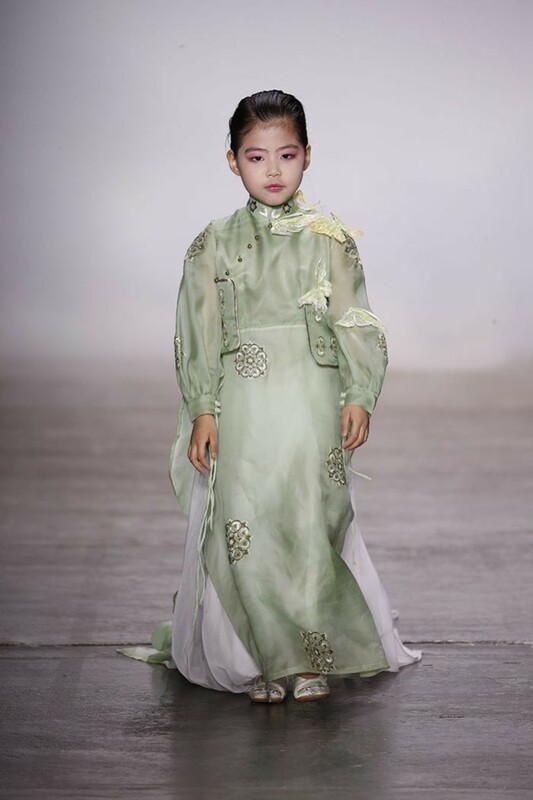 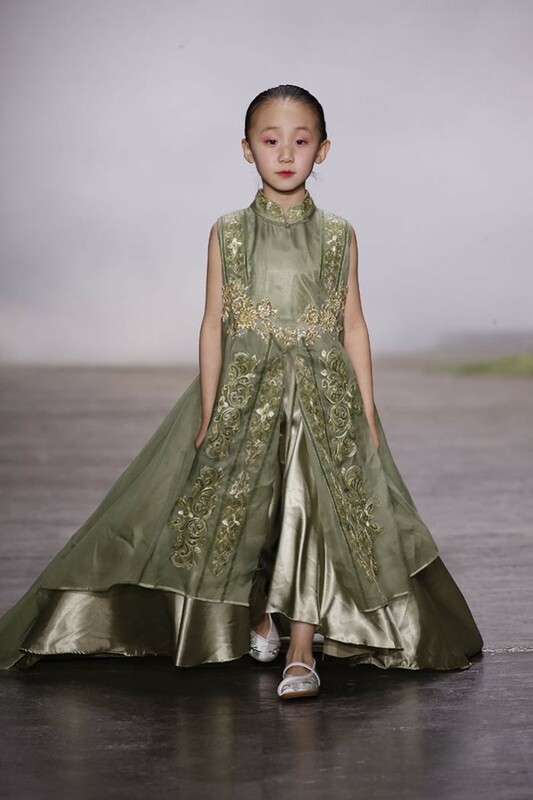 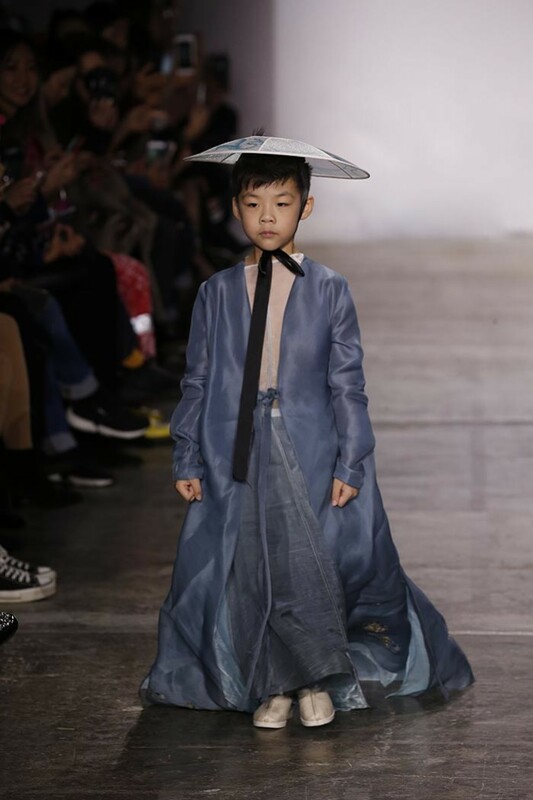 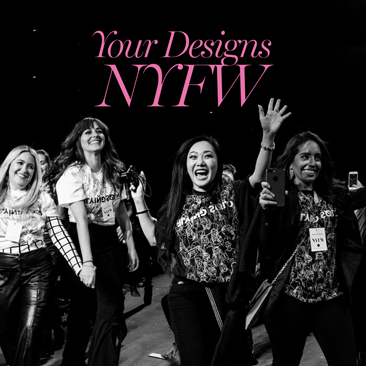 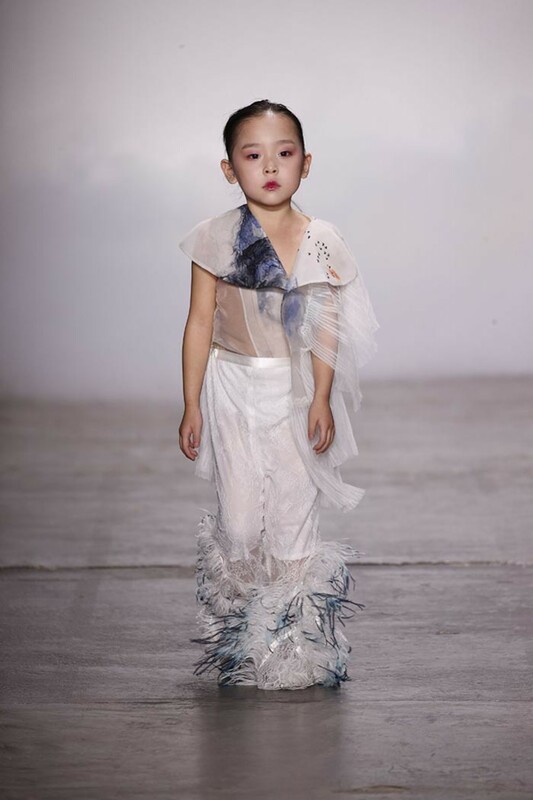 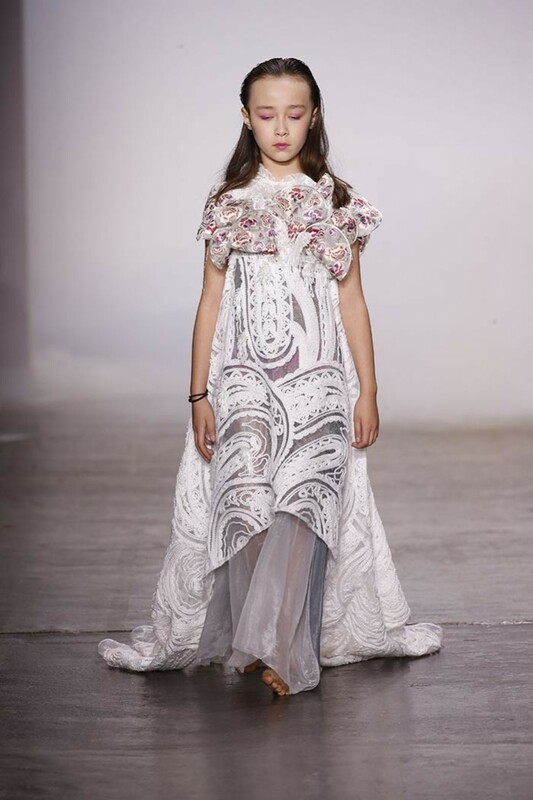 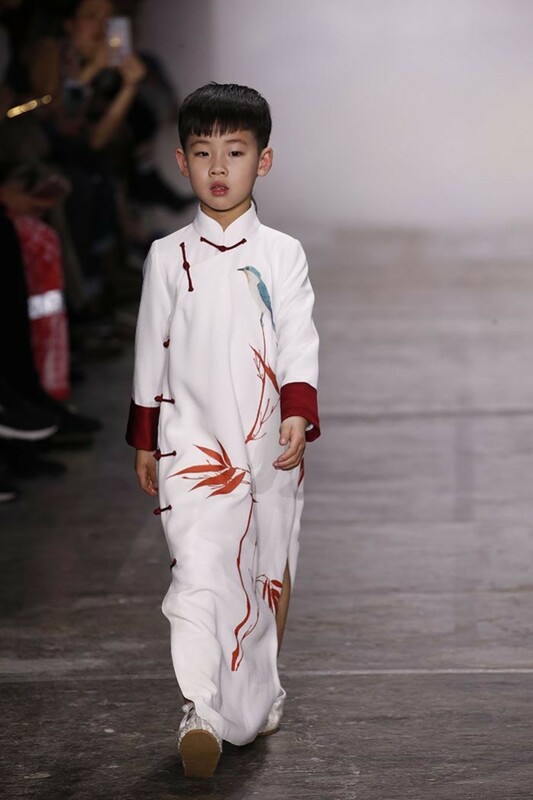 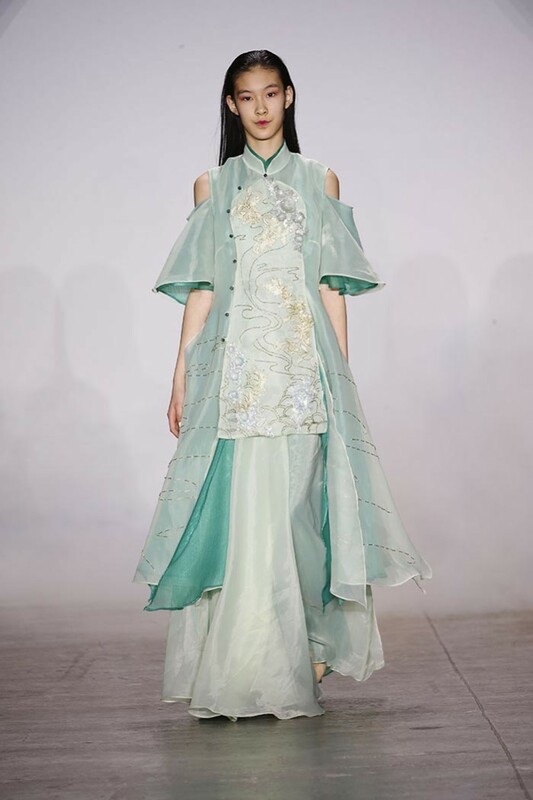 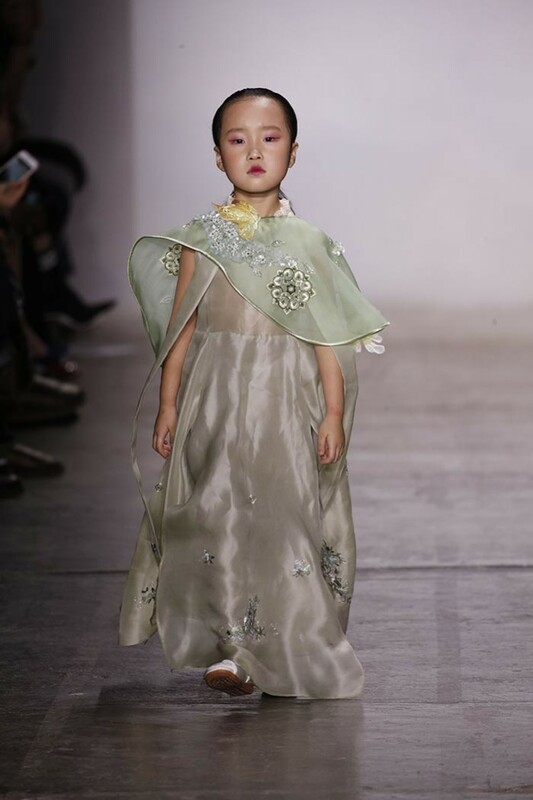 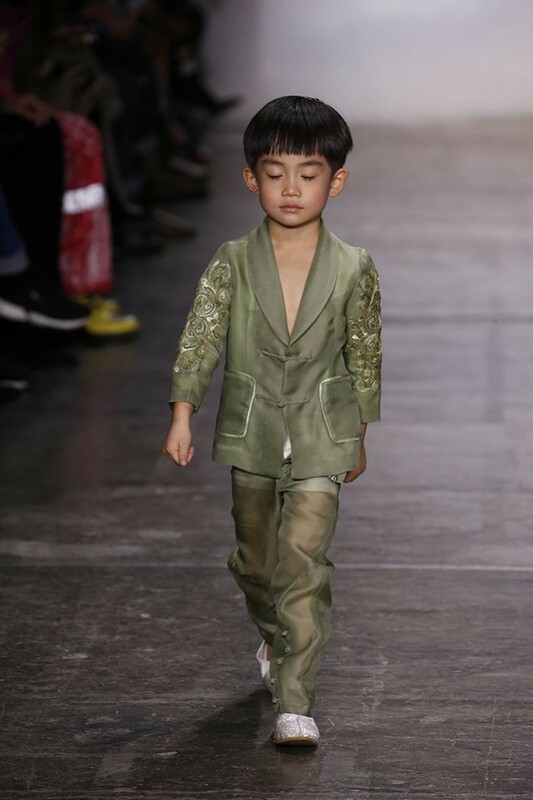 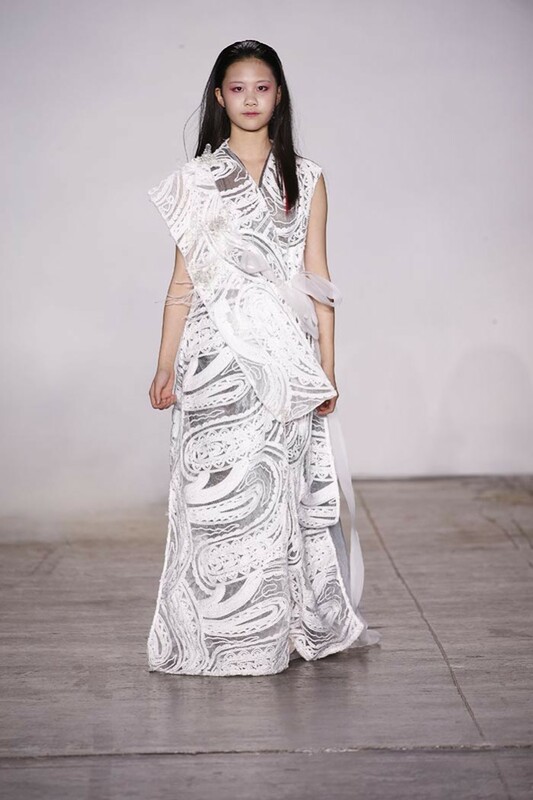 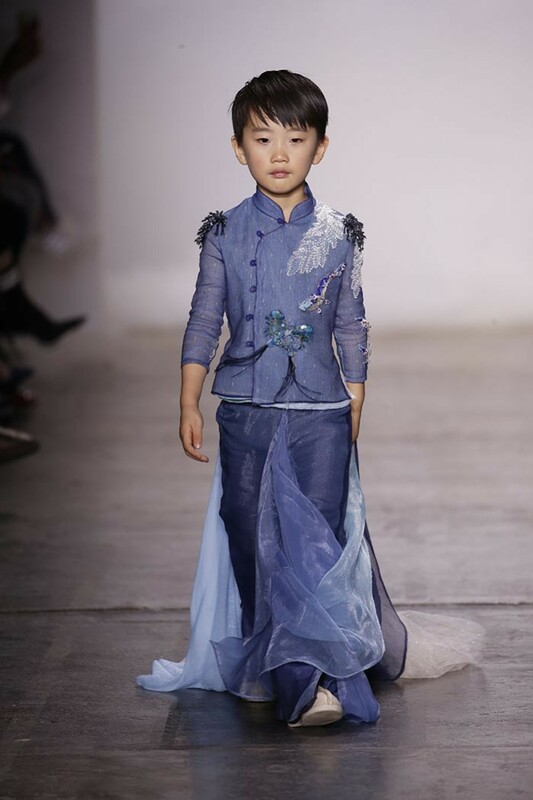 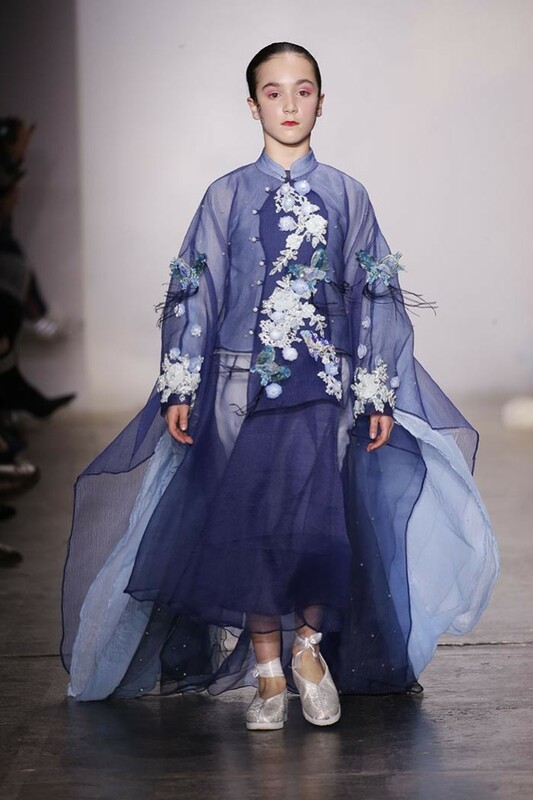 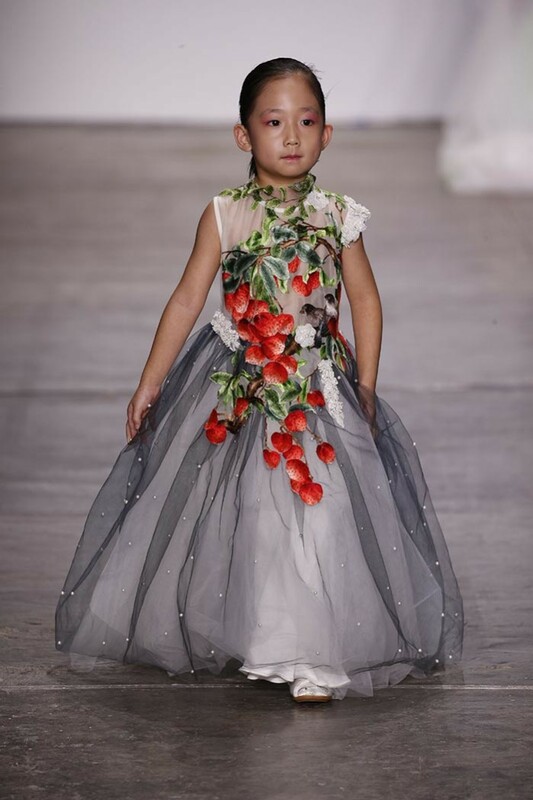 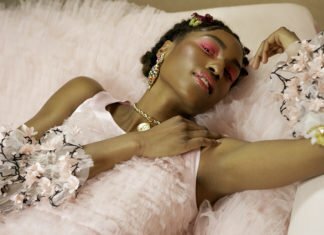 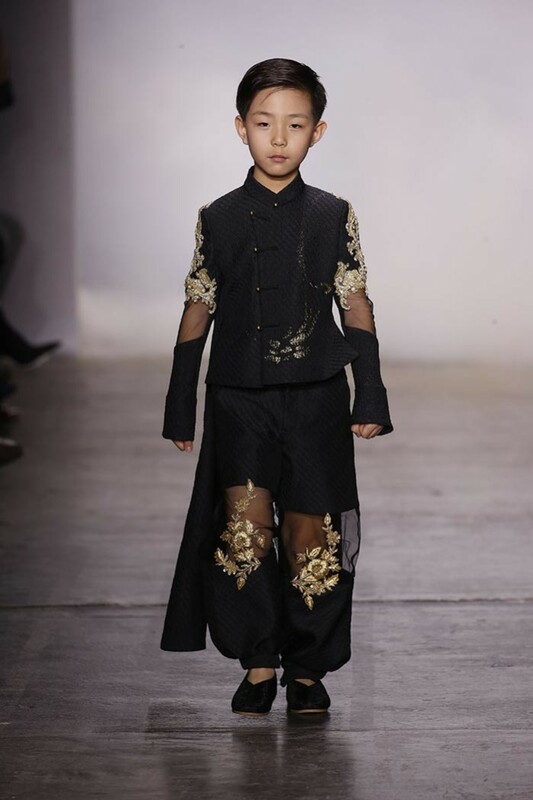 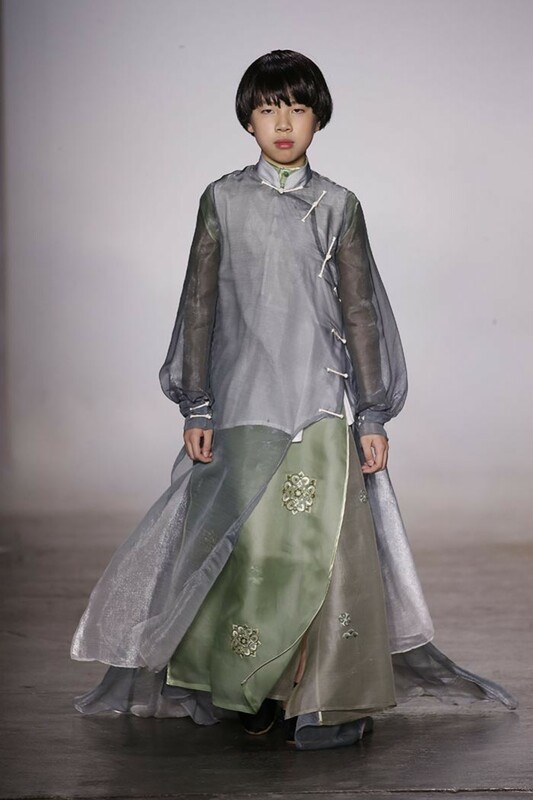 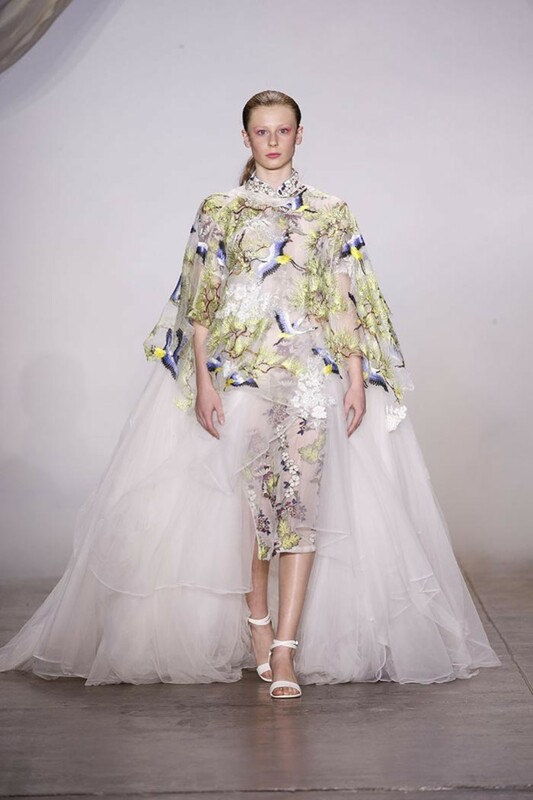 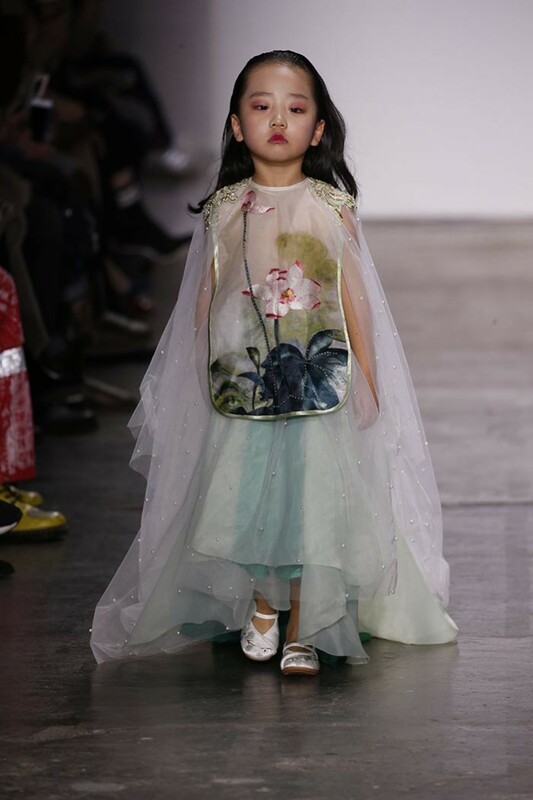 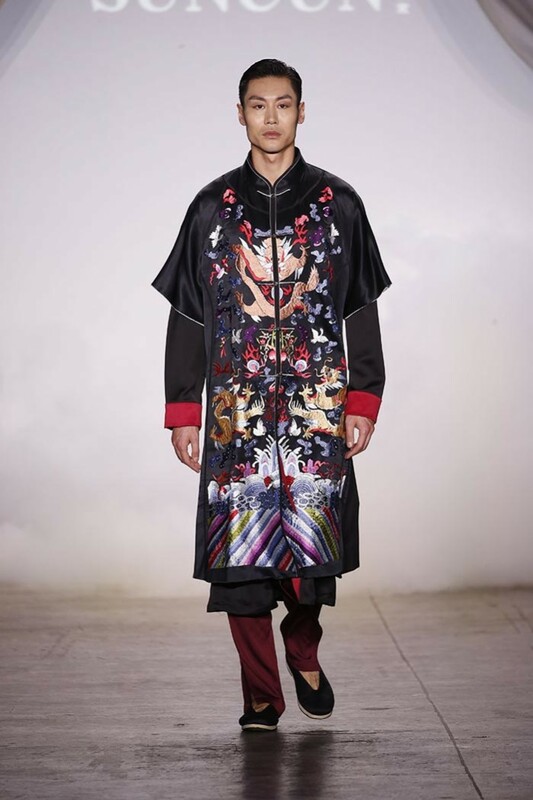 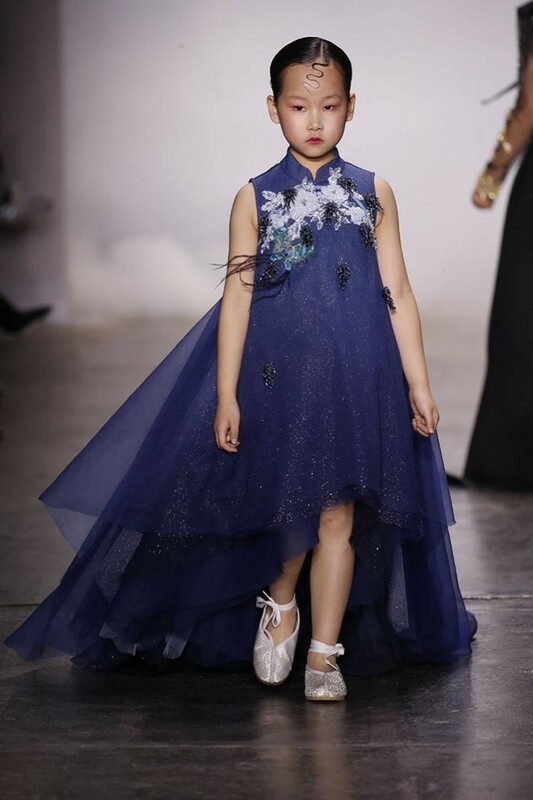 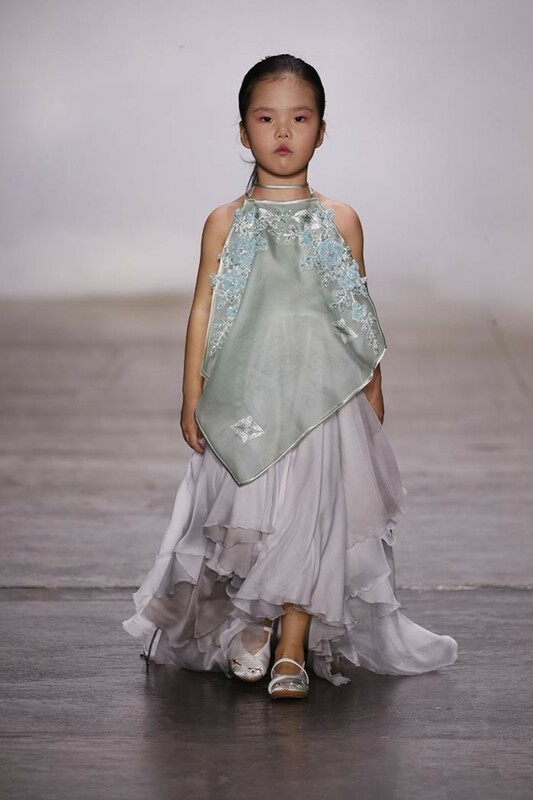 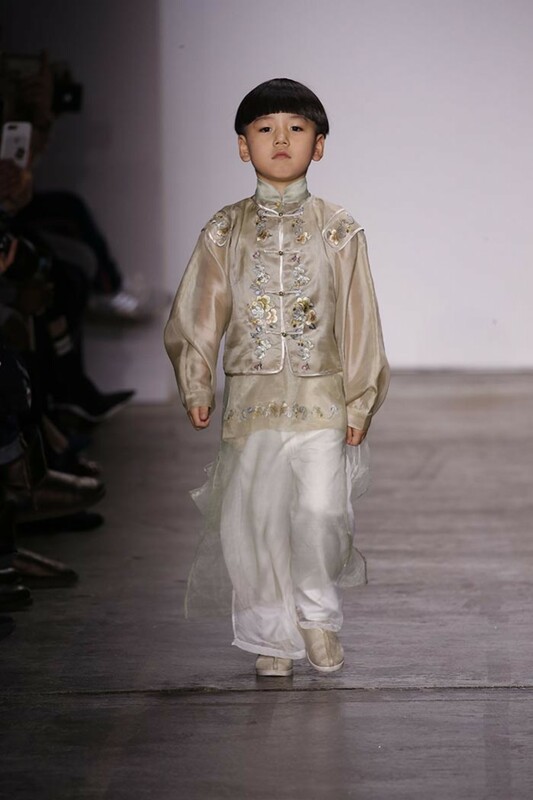 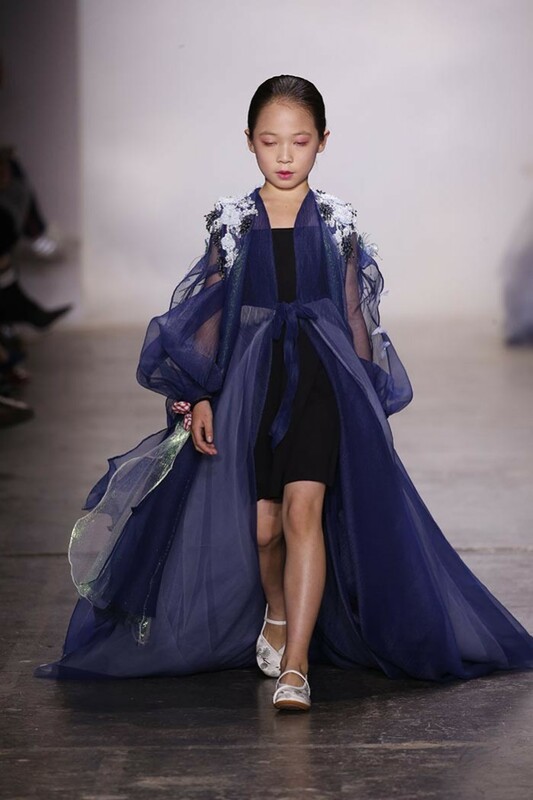 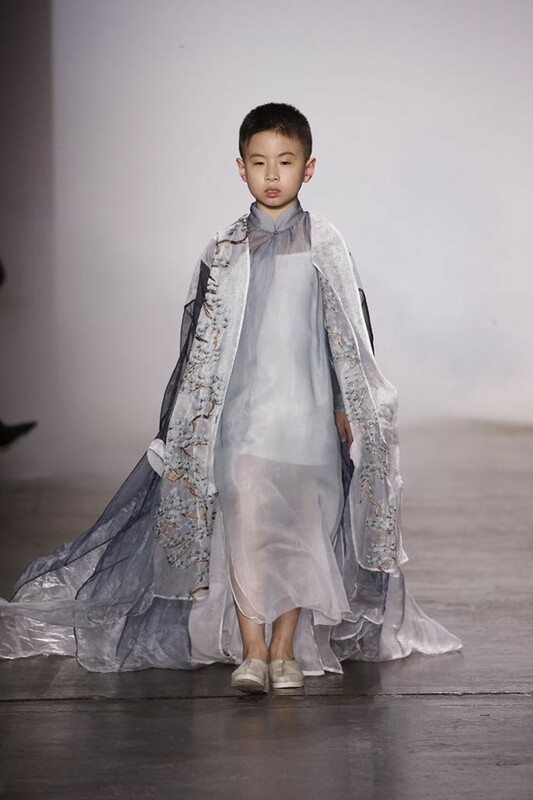 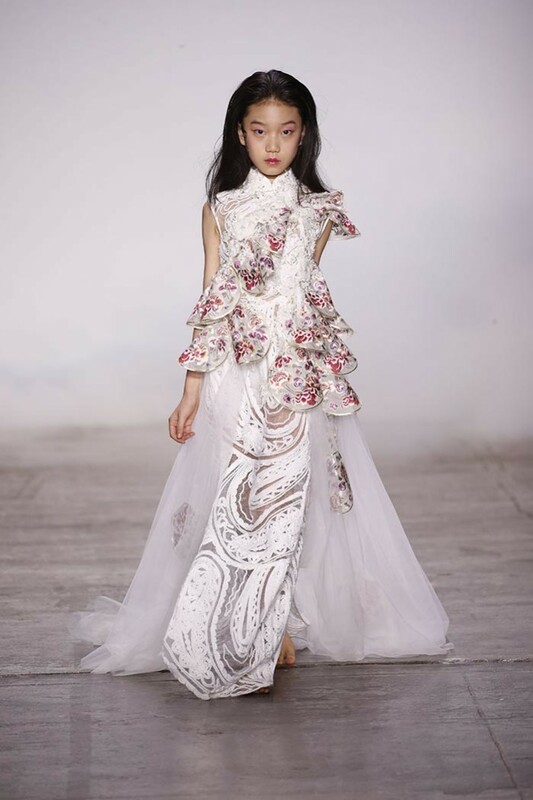 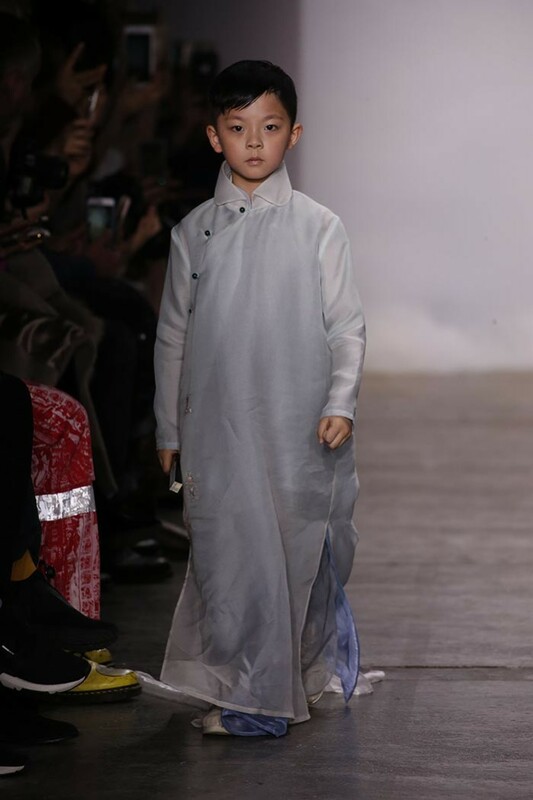 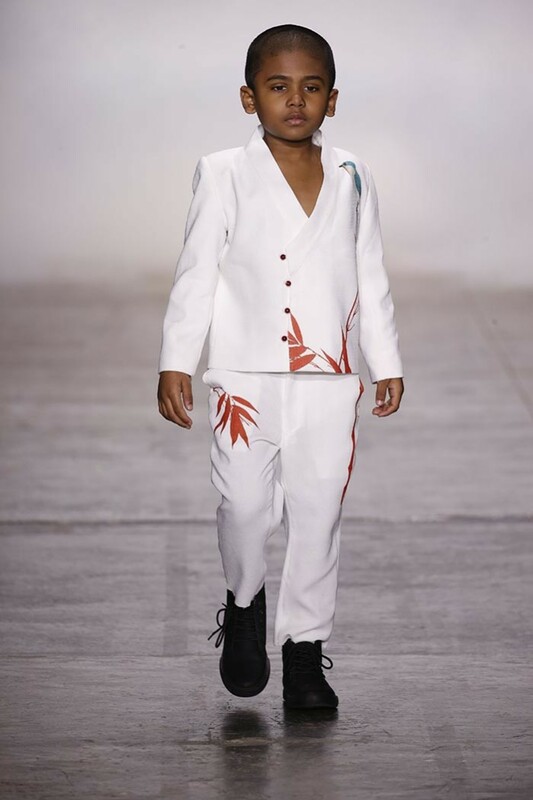 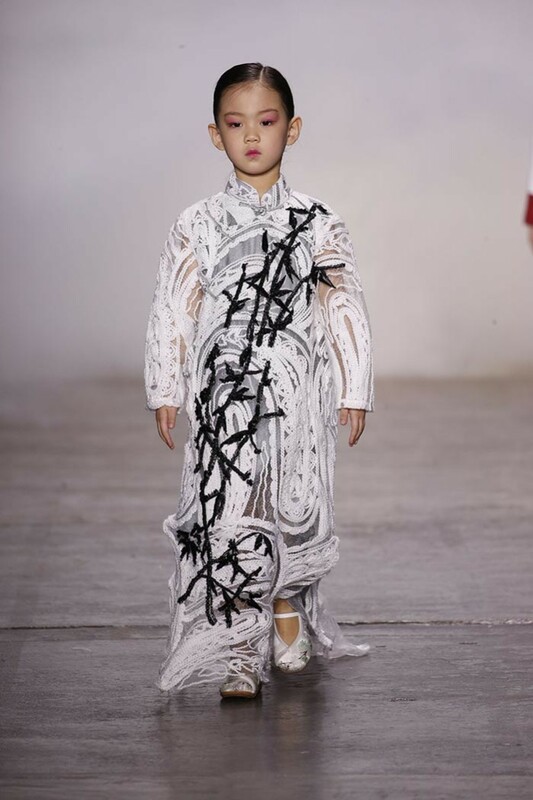 Both adults and children modeled the new collection ‘FUSHENG’, with dragon motifs, metallic embroidery, and mandarin collars evoking a sense of the East. 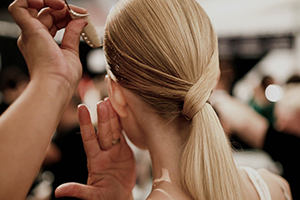 Wavy wisps of hair artfully framed the face, and lips were painted lucky red. 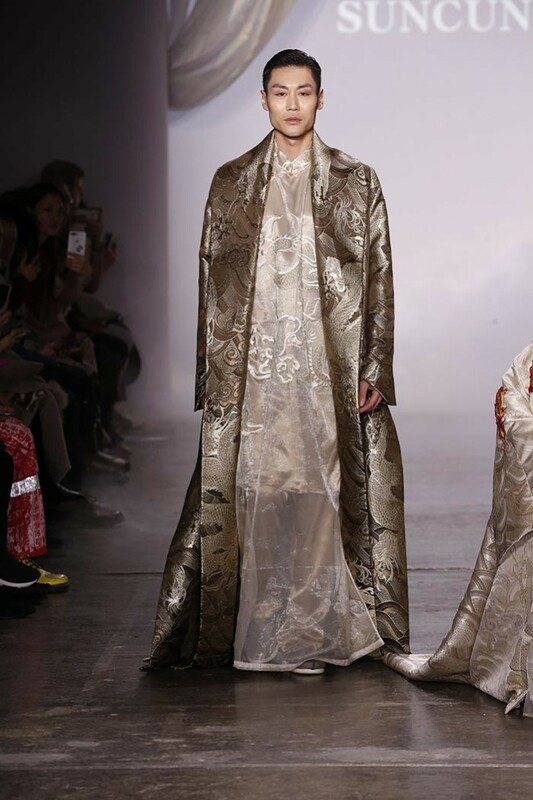 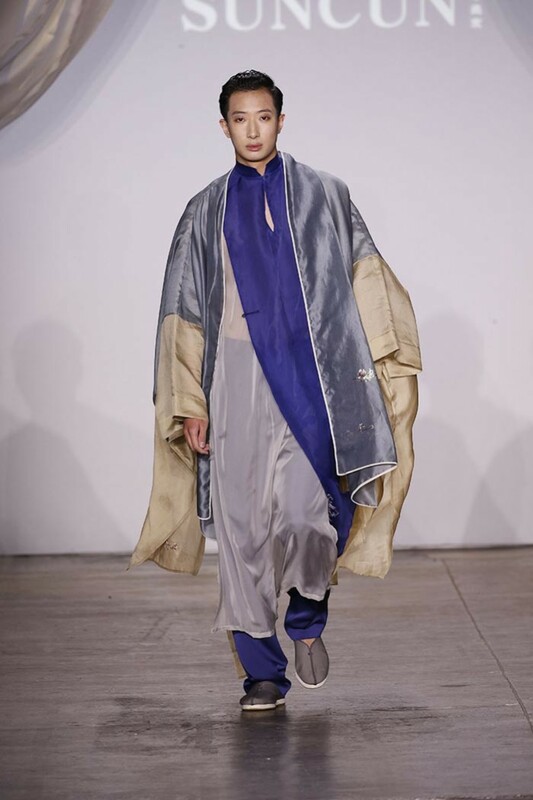 Designer Yan Zhang integrated cultural elements with contemporary styling for FW19, using distinctive traditional features such as ornamental braiding, Chinese frog fastenings and Cheongsam silhouettes. 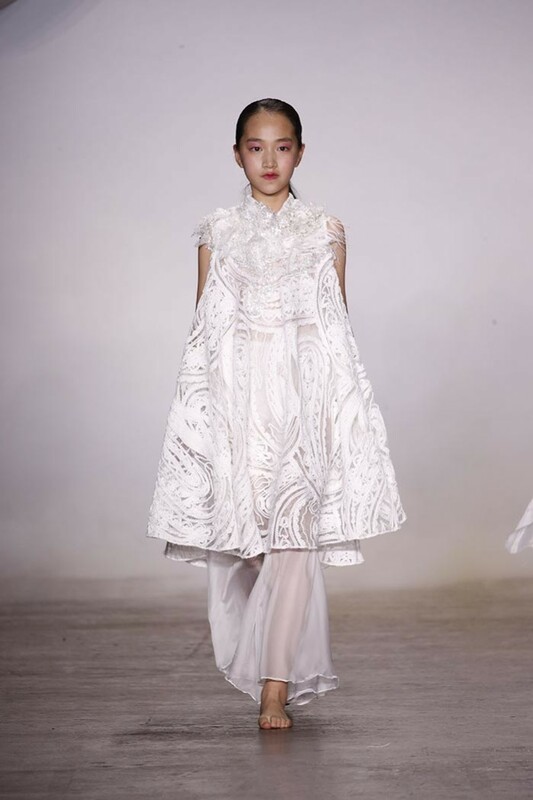 Tulles with delicate hand beading and intricately embroidered appliqué showcased the incredible artisanal techniques of SUNCUN. 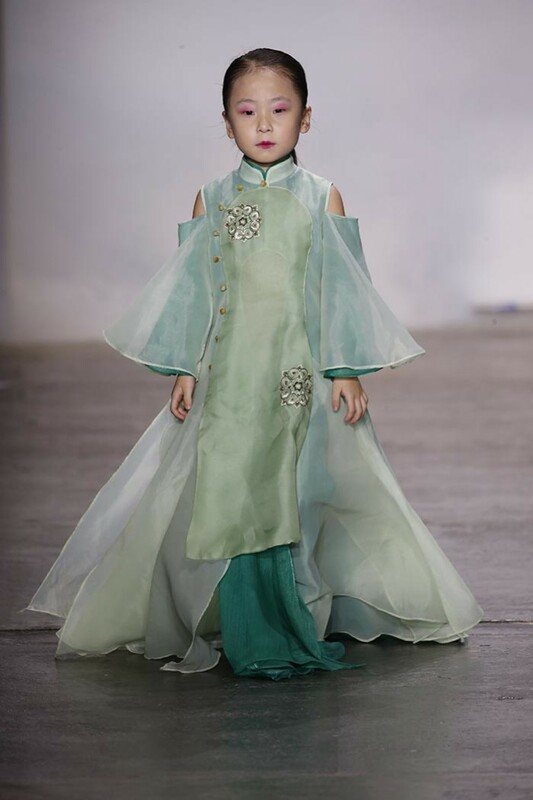 The colour palette developed from inky blacks through to pastel pink and sage green, before flourishing into brilliant whites. 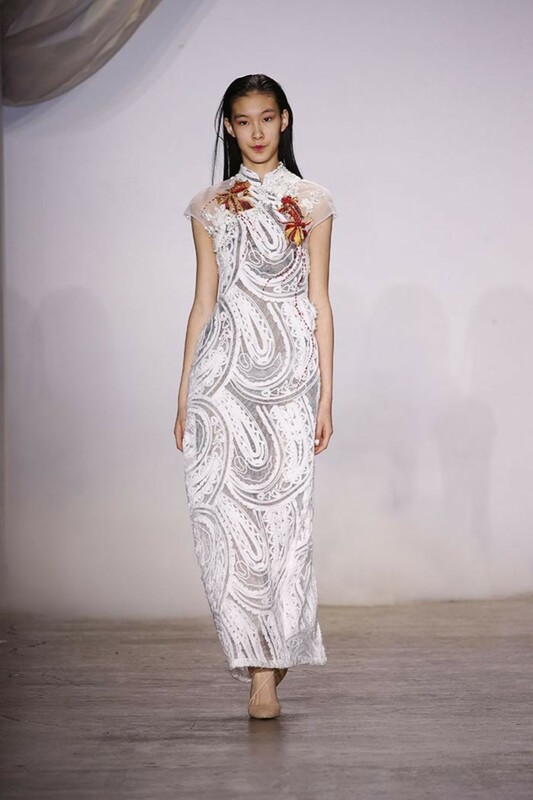 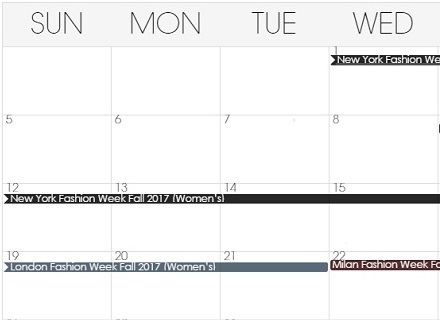 Zhang offered a fresh perspective on womenswear with a striking black and white contrast dress featuring beaded bamboo designs.